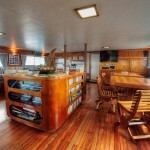 Nai’a has set new standards of live-aboard diving luxury in every way, especially in comfort and service. 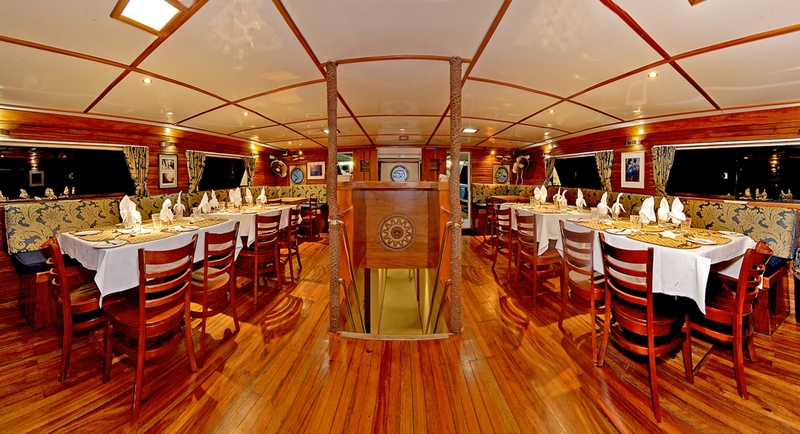 This extremely spacious ship provides for 18 guests (maximum) with all the creature comforts of a quality land-based resort – including hot showers and cool staterooms – but with superior diving and a new view every day. 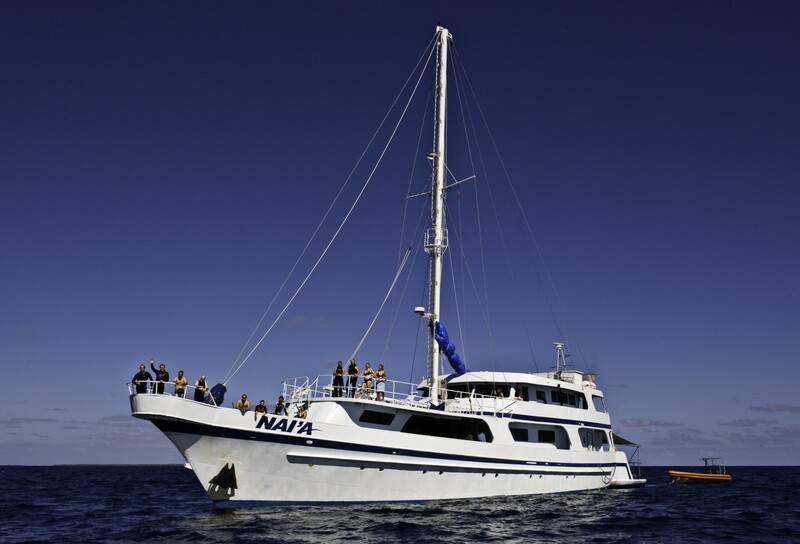 Nai’a’s large, diver-savvy Fijian crew is world-famous for their dedicated service, kava-inspired music and can-do attitude all of which make for great flexibility as well as a great time. 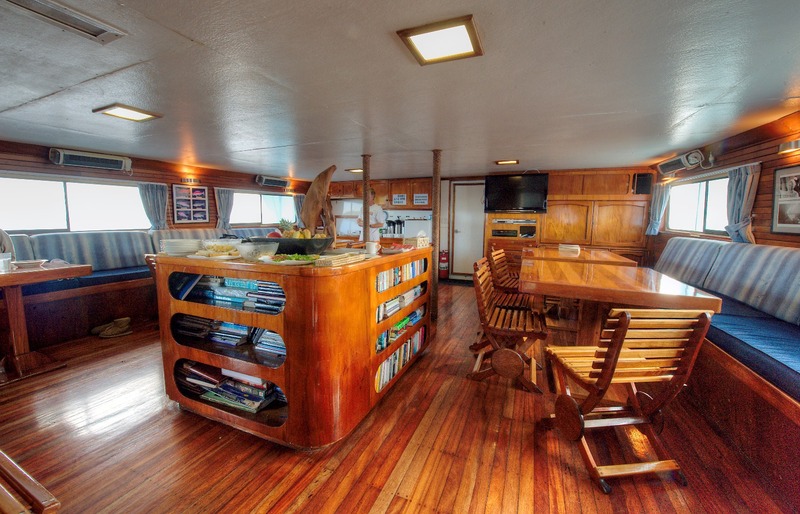 For those who do want to be outside in the sun, the whole roof area over the dive deck and the camera room is a sundeck open to undiluted rays. 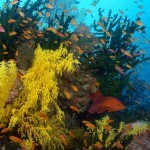 This is a great place to enjoy a relaxing lunch while working on your tan. For the enthusiastic, this area turns into a great workout space. 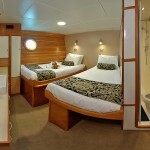 Nai’a has accommodation for 18 passengers in 9 air-conditioned staterooms with private ensuite heads. 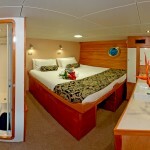 All the staterooms were entirely rebuilt in 2010. 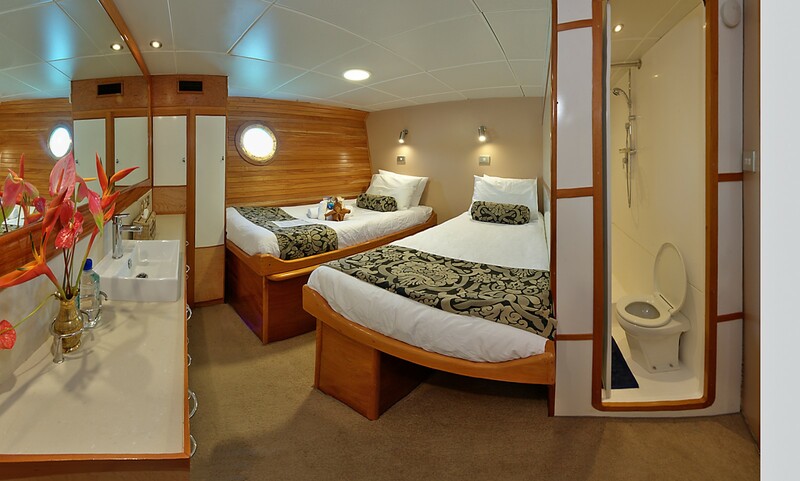 Staterooms 4,5 & 6 have queen-size beds that can be configured as individual singles; staterooms 7 & 8 have both a queen and a single bunk above at the foot; staterooms 1 & 2 have only a queen; and staterooms 3 & 9 have twin bunk beds. 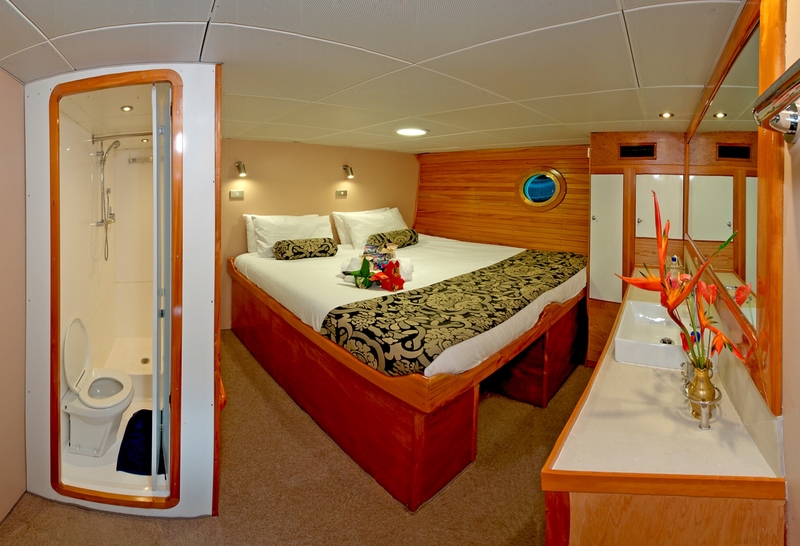 All the staterooms are larger than those on most dive vessels, with plenty of stowage for gear, and they are bright, airy, and comfortable. While camera and strobe charging is best done in the camera room, each room has both 110 and 220 volt power to run whatever electrical goodies you have. 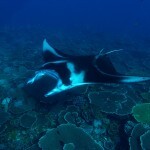 The dive deck on Nai’a is unconventional in several respects. First, it is huge, bridging the entire 30ft beam of the ship, and it is located amidships away from the clutter of the working deck aft. 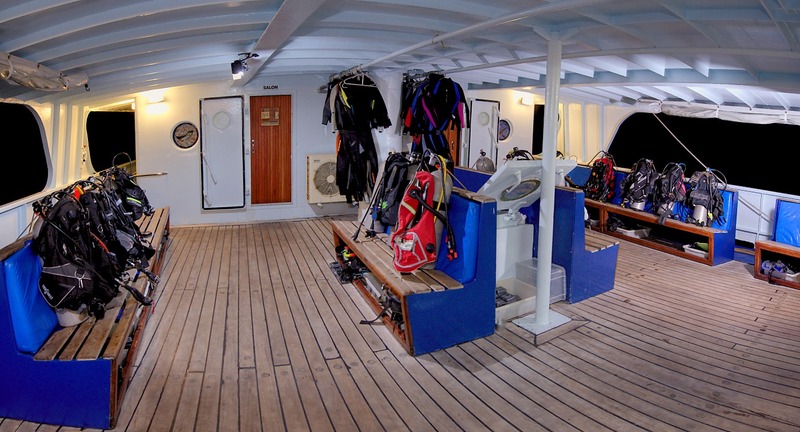 During the charter, the crew will take care of filling the tanks and loading gear into the skiffs from the aft dive platform, while divers have the uncluttered dive deck forward in which to suit up and listen to the very thorough dive briefings. 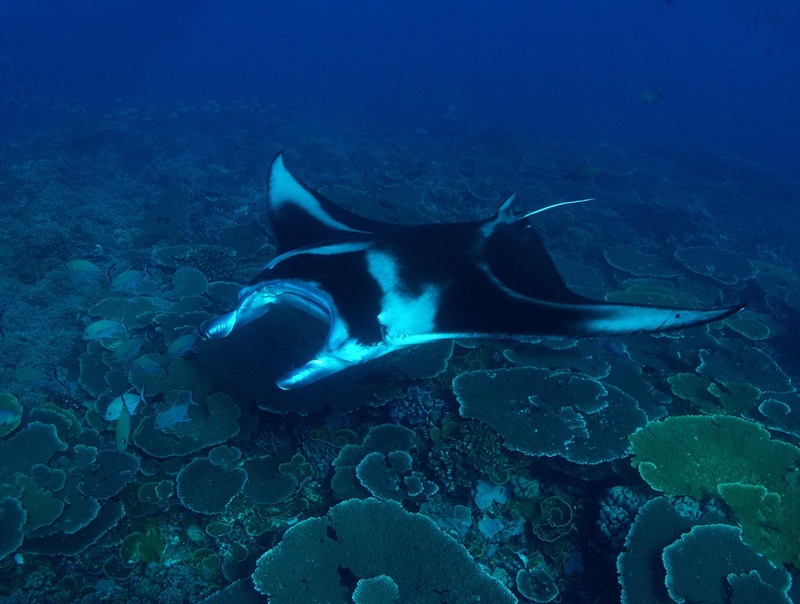 Only masks, fins, and camera gear are stored forward, while the heavy and unwieldy tanks and BCs remain aft. 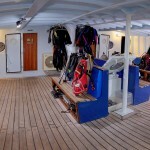 Divers returning to the dive deck are treated to hot deck showers and clean dry towels at the end of every dive. 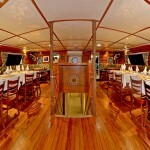 When its time to dive you'll find your skiff waiting at the back dive deck. 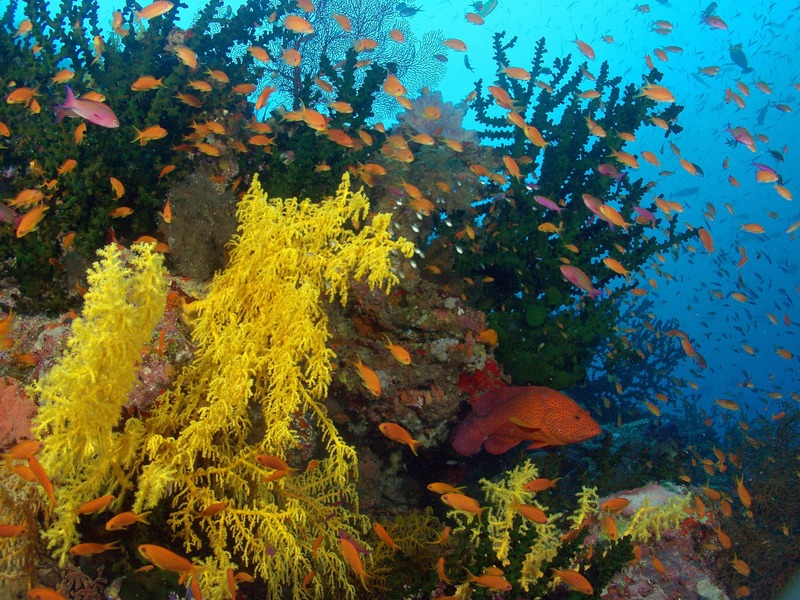 The crew takes care of moving your gear and making sure your tanks are full so you don't have to. 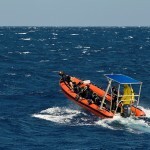 After the dive you simply step out of the skiff onto the back deck and the crew will do the rest. 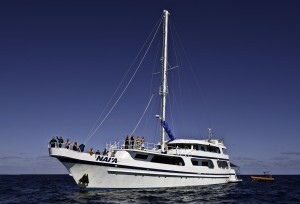 Nai’a uses two 22ft rigid inflatables. These are robust boats and their low freeboard makes them easy to exit and enter. 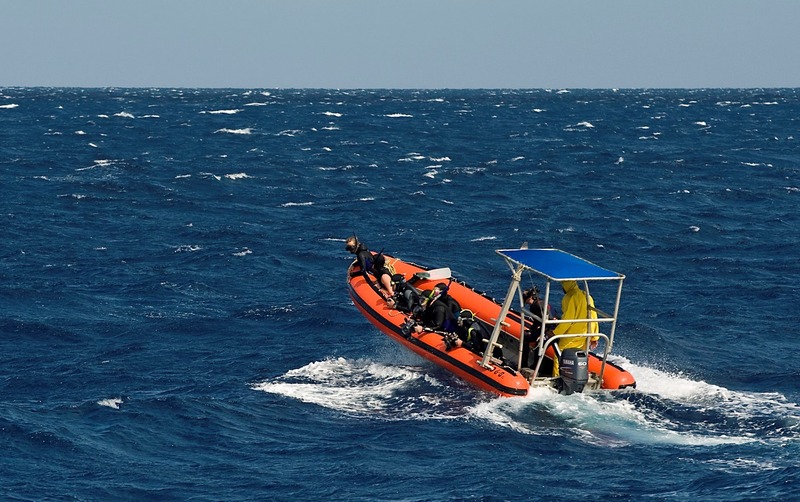 Because Nai’a uses two skiffs, divers who surface early are whisked back to the ship where they can have a shower and a brownie while they wait for the hard-core macro photographers to complete their dive.